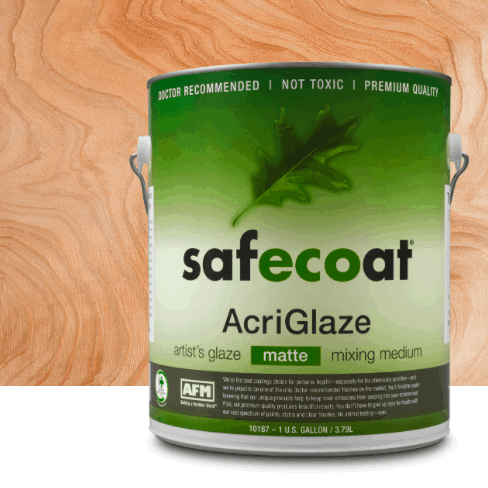 AcriGlaze is a special mixing medium and finish suitable for use in the display, art and show fields. 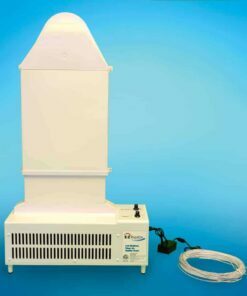 It is mildew resistant, odorless and dries clear. 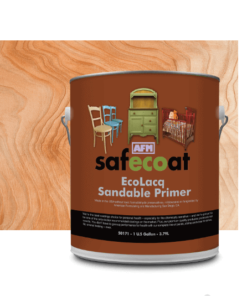 Ideal for restoring old finishes to their original brilliance, sealing and pre- serving painted work, faux finishing and as an adhesive for paper mache. Dries clear. Available in gloss and matte sheens. 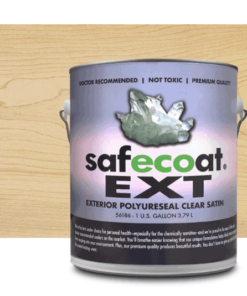 Clear finish for masonry, brick, plaster, wood, pan- eling, etc., where a soft low luster finish and sealer is desired. 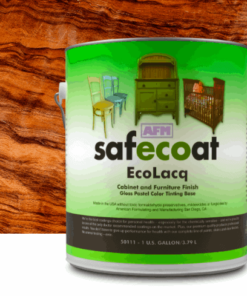 May be used both interior or exterior as a reducer for any type of waterbased paint. Excellent medium for artist colors and universal tints. increase drying time. 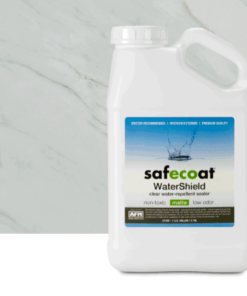 One gallon of Safecoat AcriGlaze covers approximately 200-400 square feet in one coat depending on method of application and surface porosity. 2 coats are sufficient for most jobs. In some cases 3 may be recommended. For the best result, to avoid a cloudy finish, use gloss for initial coats, finish coat. 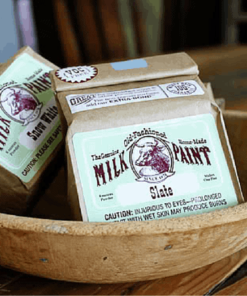 Great for craft activities such as decoupage and collages! 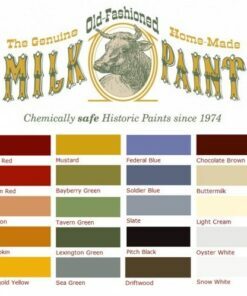 Recommended finish coat for milk paint! 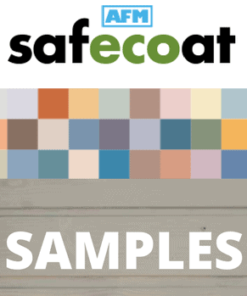 Safecoat AcriGlaze is a special mixing medium and finish suitable for use in the display, art and show fields. 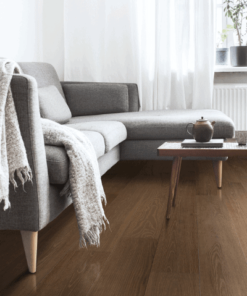 It is mildew resistant, odorless and dries clear. 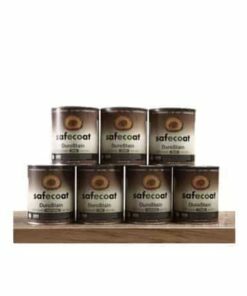 Ideal for restoring old finishes to their original brilliance, sealing and preserving painted work, faux finishing and as an adhesive for paper mache. Dries clear. Available in gloss and matte sheens. For the best result, to avoid a cloudy finish, use gloss for initial coats, finish coat. 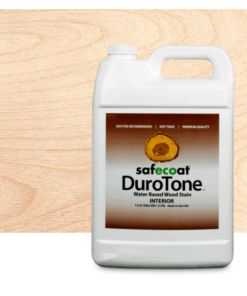 Clear finish for masonry, brick, plaster, wood, paneling, etc., where a soft low luster finish and sealer is desired. 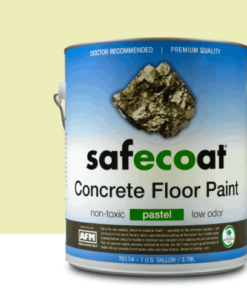 May be used both interior or exterior as a reducer for any type of waterbased paint. Excellent medium for artist colors and universal tints. 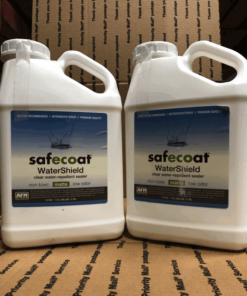 One gallon of Safecoat AcriGlaze covers approximately 200-400 square feet in one coat depending on method of application and surface porosity. 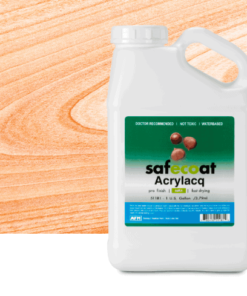 Under normal conditions, Safecoat AcriGlaze dries to touch in one hour and is recoatable after four hours. 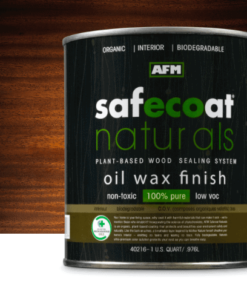 Normal conditions include a clean, dry surface, access to fresh air flow, a dust free environment, moderate humidity, and temperatures above 55 degrees F. Thick application, high humidity or conditions other than normal will cause Safecoat AcriGlaze to dry and cure more slowly.